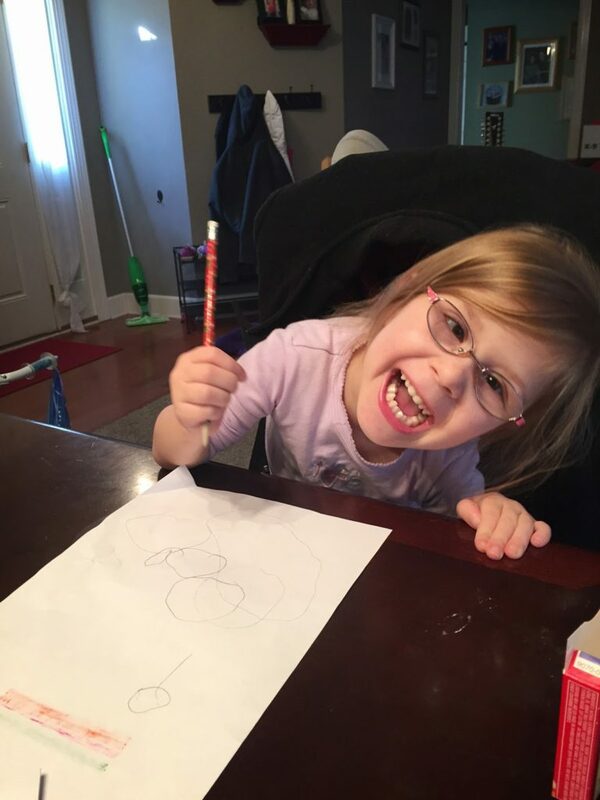 Silly Smiles and AWESOME circle drawing! It’s been a bit since I’ve done an Annabelle post, but she MORE than deserves her own post today! At the beginning of the year, my “word” I felt called to grab a hold of for 2015 was HOPE. And let’s just say… God’s proved that was the right word and it’s only February! The princess is now taking ALL her medications by mouth! We’ve been working really hard in feeding therapy to transition, and I’ll be honest. I was petrified of this. Some of her medications are very dose-specific down to a 10th of an ML so it was imperative that she gets ever drop she needs. We started giving her water in her syringes, then tried one of her not-as-important meds, and just 2 days ago, I started with her important ones just a little bit and she did GREAT. She’s now getting them all by mouth! She doesn’t love them… she scrunches up her nose at them and it’s a chore if she’s tired at night. But when she sees her syringes, she says, “Very, very important!” She’s so smart!! We’re making POTTY PROGRESS!!! I don’t put potty-talk in my blog often—but this is an exception! I’ve been beating my head against the wall regarding potty training. But the princess is FINALLY starting to get it! She still has a ways to go, but she’s gone in the potty at least once a day for the last week, sometimes 2 or 3 times, so we’re definitely on our way!! Planning for the K word! I’ve been having fun chats (and lots of prayers) about the next school year, because as of right now, the plan is for our princess to *sniffle* go to Kindergarten. She’ll have lots of extra help, but we all feel she needs to be in an environment to practice her social and communication skills with other kiddos. I’d appreciate prayers about this, that we come up with the right plan for Annabelle and that we give her the best foundation for SUCCESS for her future education. And may I also add? This is gonna be a tear-ridden word. My oldest will be starting High School. My next oldest will be starting Middle School. And Annabelle will be starting Kindergarten. That is a LOT of transitions and firsts in one school year, y’all! Thankfully Gabby is just going to a “normal” 4th grade!!! So, that’s my Annabelle update. I’m just so proud of my sweet girl and all her progress!! Remember you can always follow her prayer page on Facebook where I’ll post any urgent prayer requests – Prayers for Princess Annabelle. 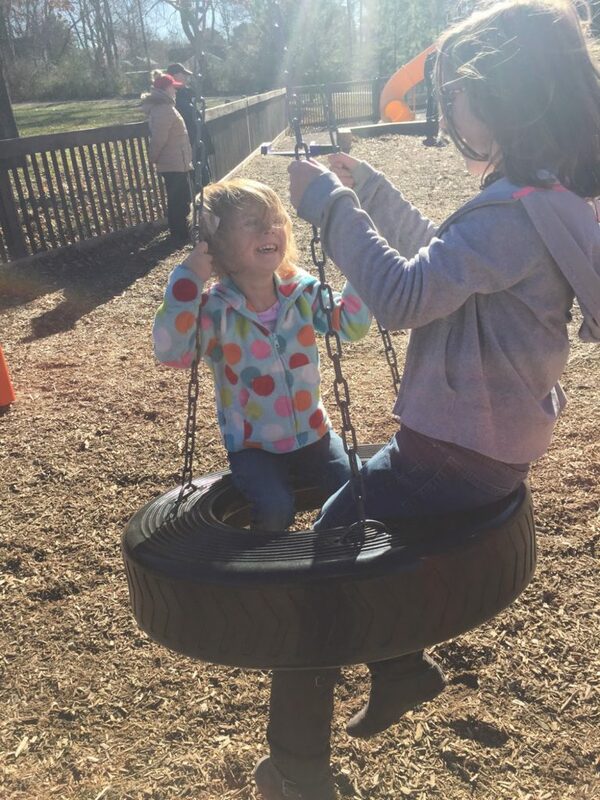 Having fun at the park with big sister! 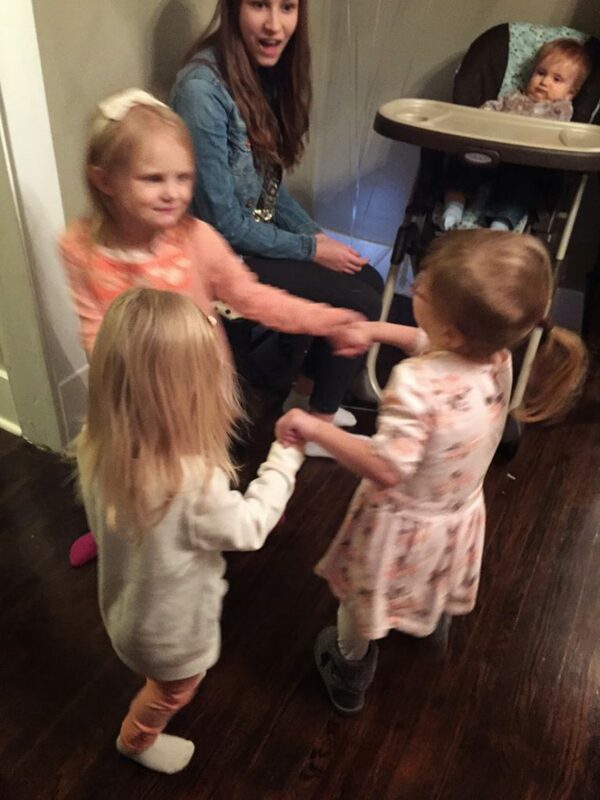 Ring around the Rosie with cousins!! HAIRCUT time!!! 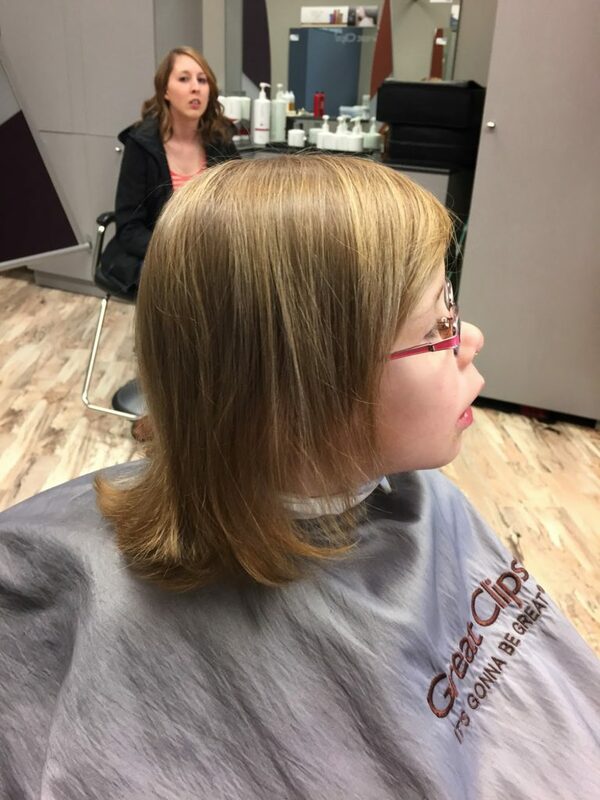 Still trying to get the front of her hair to grow some… but the back was getting REALLY long! So awesome! Go Annabelle! I remember a little while ago when eating a bite of ham was a big deal. I know! It hasn't been long at all!